Product Development: Are Frozen Foods On Thin Ice? Home / Articles / 2013 / Are Frozen Foods On Thin Ice? While the hand-held breakfast niche is hot, the rest of the frozen food category mounts an ad campaign to reverse the slide. A pending $50 million ad campaign designed to boost sales of frozen foods attracted a great deal of media attention in April. The gist of the message is that frozen equals fresh — that frozen foods can be sold in better condition than their refrigerated or produce-department rivals. The campaign, which is expected to launch before the end of the year, is funded by the Frozen Food Roundtable, a consortium of major food manufacturers (including ConAgra, Heinz and General Mills) organized through the American Frozen Food Institute. In reporting the story, the mainstream media maintained a good deal of skepticism about the notion that "frozen equals fresh." This is not the first time the food industry has set out to change perceptions about frozen foods, and yet the challenge remains. "Refrigerated is considered fresh and better," says Brad Rostowfske, director of innovation and business development with Palermo's Pizza Co., Milwaukee. "But the truth is that both frozen and refrigerated have different advantages." While advances in frozen foods have come about primarily through better production processes — Palermo's, for instance, uses slabs of marble on a conveyor oven to create a frozen pizza that is more like those from a pizzeria — ingredients play key roles, too. Also, as consumers warm up to frozen foods, the quality of the ingredients has become a key factor, Rostowfske notes. As with participants in all other food categories, frozen food makers know consumers are reading labels, so they are working with ingredient suppliers to reformulate with multifunctional ingredients that sound wholesome. While the Frozen Food Roundtable's campaign is making a big splash, it is not a lone voice. The National Frozen and Refrigerated Food Association recently introduced its own Cool Food Panel that is working with a public relations agency to champion frozen foods. Frozen food sales totaled more than $40 billion in the U.S in 2011, but 98 percent of frozen products have flat or declining sales, according to the preliminary work to support the campaign. Mintel Global Market Research, Chicago, however reports sales growth in many of the sub-segments of frozen foods. Some, such as handheld breakfast foods, have experienced considerable growth, thanks in part to the convenience they offer. Mintel says there is a $2.7 billion market for handheld frozen foods. "Total sales for the market grew 18 percent from 2006-11," states Mintel's June 2012 report Frozen Handheld Food. "Trends toward eating less processed food also have presented a challenge to the market as has the continued economic downturn, but frozen handheld products' convenience and value have helped to keep sales afloat while renewed interest and innovation in breakfast handheld food has helped to grow sales in 2010-11." Handheld breakfast foods are especially hot, the group says, and they are eaten in the morning, or as a snack, or a convenient dinner. "While composing just 26 percent of the total market in 2011, U.S. sales of frozen handheld food (breakfast) grew by 40 percent from 2009-11 and helped the total market to grow by 7 percent during that same period even as the larger frozen handheld food (non-breakfast) segment saw sales decline by 1 percent," the report states. Bob Evans' Breakfast Bakes are ready to "microwave and go." These products include items such as Jimmy Dean Delights, a breakfast sausage and biscuit sandwich marketed by Hillshire Brands, Chicago. The report also notes that frozen snacks, including pocket snacks and personal-sized ones, plus pretzel and bagel snacks have experienced strong sales growth. "At least 60 percent of respondents who eat frozen handheld food products look for products that have high protein, high fiber, or contain whole grains," the Mintel report states. A much lower share (49 percent) of the respondents who eat frozen handheld food are looking for low/reduced sodium and even fewer are looking for reduced fat or calories, indicating that consumers are looking to add value to what they are already eating. While handheld foods and snacks are doing well, the market for frozen meals in the U.S. has declined between 2007 and 2012 for sales of $8.1 billion in 2012. Mintel estimates that sales will drop further into 2017 as buying power returns and many consumers increase their restaurant spending or maintain home cooking regimens. And a new report by research consultants A.T. Kearney suggests the frozen food category is in a similar position to the category it brushed aside more than 75 years ago: canned good. "The very attributes that made frozen food a successful alternative to canned foods are now more often perceived in fresh prepared foods," says "Prepared Foods – The Thawing of the Ice Age." "Consumers gravitate to fresh prepared foods because their environment has not been altered through massive temperature and processing changes. Celebrity chefs and reality cooking shows emphasize fresh ingredients and home cooking. Farmers markets have grown explosively in the past 15 years as consumers have become attracted to fresh and locally grown foods due to their health and nutritional benefits. Fresh is considered the ultimate, convenient, ready-to-eat solution. "Savvy consumers frequent Whole Foods with their fresh, unpackaged take-out and Trader Joe's with their branded, restaurant quality refrigerated meals. "These perceptions are impacting the frozen food aisle," the report continues. "Frozen prepared meals are in decline and the significant attempts at innovation have not been able to regain the consumer's top position in terms of quality and convenience. A surprising number of major food companies reported over the past 18 months they had experienced sustained volume declines in their core businesses. In 2013, units are forecast to decrease by another 3-5 percent… some recent estimates are inching their way up to the double digits." To some, frozen foods may simply be more difficult to merchandise from behind glass doors. Rostowfske, for one, thinks that could be part of the equation. "The produce section in a grocery store always has to look good, and the same needs to be done with the freezer. It has to be made to look appealing." While consumers stay interested in frozen foods, the AFFI campaign continues to remind consumers that frozen staple foods such as ground beef or blueberries are not necessarily inferior to fresh. One company that is certain of the quality of frozen is Schwan Food Co., Bloomington, Minn. Schwan has three divisions, all involved in making and selling frozen foods. Cleaner ingredient statements, interesting flavor combinations and new technologies are enabling pizza to remain competitive in the frozen category. The Consumer Brands Division sells branded products (Red Baron, Tony's and Freschetta pizzas, Smith Pies and desserts, and Pagoda Express entrees among them) for retail sale in grocery, club store and other retail channels. The Home-Delivery Division offers a broad array of products under the Schwans brand. Finally the Food Service Division caters to schools and institutions, convenience channels and restaurants. This division also produces SKUs under the Red Baron, Freschetta and Mrs. Smith's brands. Julie Simonson, vice president of research and development, says the company works internally and with suppliers to obtain ingredients that allow Schwan to meet a number of product goals. For instance, in the area of health and wellness, the company conducts a biannual product portfolio assessment of health and wellness metrics in relation to established nutrition guidelines. "This review has been met with a commitment to eliminate artificial trans fats and to continue to moderate sodium and saturated fat to meet the recommendations of the Dietary Guidelines for Americans," Simonson says. Schwan Home Service offers more than 100 better-for-you LiveSmart brand options that meet those health and wellness guidelines. In 2012, Schwan's Home Service reformulated 28 of its traditional products to meet those guidelines. "In schools, we have had great success working with our suppliers on obtaining the right ingredients for producing a delicious 51 percent whole-grain pizza," Simonson adds. "Additionally, a number of years ago, we undertook a major effort to remove trans fats from our products in a very short period of time." To accomplish this Schwan had to work with dozens of suppliers. "It took a coordinated effort with our purchasing department, regulatory affairs, research and development, our suppliers and our customers," Simonson explains. "Our ingredient suppliers had to reformulate their products before we could work on ours. We had to then validate that the new trans fat-free ingredients functioned the same and delivered the same flavor and quality to consumers. We were successful at the end of the day because of the collaborative effort of everyone involved." Multifunctional ingredients can help maintain texture and other organoleptic properties while also offering a simpler, often cleaner label. An example of this can be found in the ingredient solutions that have been developed for premium lowfat ice cream, also known as "churned" products. While a small number of temperature and process techniques are employed for many of those popular ice cream products, others get their enhanced, smooth texture from ingredients including emulsifiers and additional dairy proteins. All of them succeed through the retardation of ice crystal formation during the freeze-thaw cycles in distribution and merchandising. But another path to better-tasting products can be found through the selection of better ingredients, a sentiment expressed by both Simonson, and Palermo's Rostowfske. "For our grocery store consumers who love a bolder flavor, we recently worked with our suppliers to secure ingredients for our Red Baron spicy pepperoni pizza, with the spice coming from diced jalepenos and our newly developed chipotle sauce," Simonson says. "Freschetta pizzas feature only premium ingredients: real and all-natural cheeses, never cheese fillers; olive oil and sea salt; sauces made from ripe tomatoes and generously sliced vegetables picked at their peak and flash-frozen to ensure the freshest taste and to preserve valuable nutrients; and the finest meats, like special-recipe pepperoni, seasoned sausage and lean Canadian-style bacon." For Palermo's high-end brands like Palermo's and Primo, a similar approach is taken. "When we work on Primo Thin, we watch the fat and the salt (for health benefits)," says Rostowfske. "We will use a lot of olive oil — and we use very good olive oil. When you get the right balance of high-quality ingredients, you can end up with more flavor and less fat." The company's culinologist, Dax Schaefer, comes into play here too, as does its Italian-American heritage, Rostowfske says. "We use a 'less-is-more' mentality." 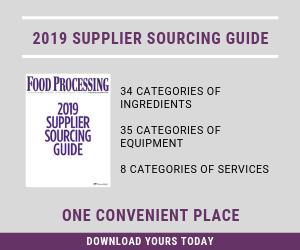 Natural and organic frozen foods have grown substantially in recent years, and those companies that specialize in foods for special diets must take particular care in selecting ingredients. Van's Natural Foods, Vernon, Calif., recently expanded its anchor product line by adding several SKUs of gluten-free waffles and mini waffles. Amy's Kitchen Inc., Petaluma, Calif., offers snack-sized frozen burritos made with organic beans and rice, tomatoes and other ingredients. Under its Light and Lean banner brand, the company recently introduced two new dishes, a Quinoa and Black Bean bowl, and Mattar Paneer. These gluten-free offerings are made from ingredients that include Swiss chard, Indian cheese, butternut squash and organic peas. While both Van's and Amy's maintain a strong presence in the natural foods channels, they also have migrated many products into mainstream grocery and club stores.